Buz Koelbel talks about what is happening at Winter Park. Winter Park is at ground zero of a development blitz. Developments that are either about to take off or are on the drawing board are expected to put the ski resort that serves the Front Range on the map. What is happening at Winter Park reminds developer Walter “Buz” Koelbel of the growth around Union Station in Denver. “There was a lot of collaboration” that made the renaissance of Union Station possible, Koelbel said. A rendering of the new Winter Park transit center and brewery building. The same thing is happening in Winter Park, where Koelbel launched the 1,100-acre Rendezvous development 18 years ago. Collaboration – and an agreement among Koelbel and other key stakeholders in the area to market the area as one brand – has rescued the area from the “dark abyss” of the Great Recession, Koelbel noted last month at a press conference. “The clouds have parted and the sun is shining” on Winter Park and the surrounding area, Koelbel said. 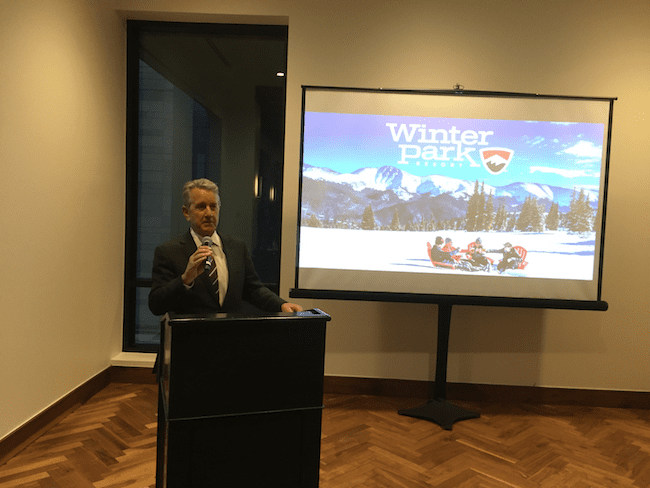 Koelbel made his comments at a press conference at the Kimpton Hotel Born in downtown Denver, during an event to herald what is called the Imagine Winter Park initiative. The initiative provides a road map for collaboration over the next 10 to 15 years. Already, partners in the plans are involved in $100 million in public and private development investments. Devil’s Thumb Ranch, owned by billionaire Bob Fanch. Koelbel is not only building homes at Rendezvous but also recently purchased the Chamber Commerce building on Main Street in downtown Winter Park. Koelbel will raze the existing building on a half-acre site that includes the iconic moose sculpture that welcomes people to town. 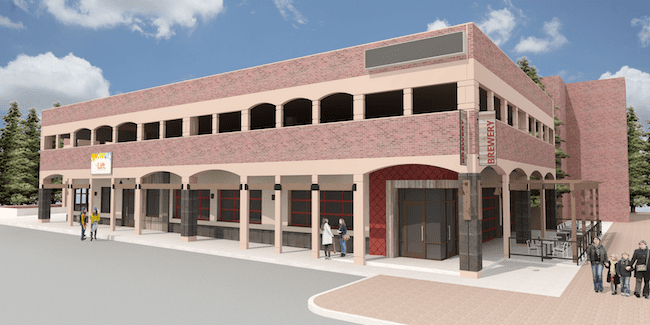 After a year of planning, Koelbel has agreed to replace the existing building with a three-story mixed-use building that will include office space for the chamber, a new Welcome Center, office space for Rendezvous Winter Park and as many as 10 townhomes or condominiums. The new building is scheduled to open in 2020. Down the street from the building, a Denver-based developer, WC Johnson LLC, is planning a 5,500-square-foot transportation center and new brewery with a coffee kiosk. The building was designed by Arrow B Architecture. The new center will be adjacent to Cooper Creek Square, which WC Johnson purchased in 2015 for $6.4 million. A brewpub integrated into a transit center is not unique to Winter Park. Indeed, when the International Council of Shopping Centers recently did a report about retail, including brewpubs, connected to transit centers, the ICSC highlighted Union Station as a national model. “This is kind of like Union Station, on a very miniature scale,” said Charlie Johnson, who owns his eponymous development firm with his brother, Bill. The new building will cost about $1.5 million. 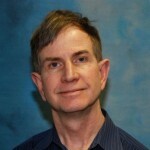 The transit portion will be operated by the town of Winter Park’s transit system, he said. “For the brewery and tap room, we ideally will find a great operator from the Front Range who wants to get some exposure to the mountains,” Johnson said. He said they are in discussions with several potential operators. While the majority of WC Johnson’s holdings are in the Front Range, “We are super entrepreneurial and we don’t like to do the same thing over and over again,” Johnson said. Winter Park had the value component that was getting difficult to find in Denver. Cooper Creek Square is the main dining center for Winter Park. The Johnson brothers are working to make it the No. 1 choice for anyone looking for a wide variety of meals in the town. When they bought Cooper Creek Square, about 30 percent of the space was for offices. Now, they plan to cut the office space to about 15 percent of the 57,500-sf center. In addition, WC Johnson is in the process of buying 58 acres around Cooper Creek Square for future developments. “We’re doing it with about six different transactions with different owners,” Johnson said. It’s not unreasonable to think that it might take 20 year to develop all 58 acres. “We do have a site where we might do a full-service hotel, and there is room for a mixed-use development adjacent to Cooper Creek Square,” he said. Although 58 acres sounds like a lot for a small town like Winter Park, he said it is dwarfed by holdings by Fanch and Koelbel. “With what is going on with Fanch and the expansion of Rendezvous, there are probably 3,000-plus homes that eventually will be built,” he said. He isn’t worried about overbuilding. As in Denver, there is a shortage of construction workers, which itself limits the amount of new units that can be added. Plus, demand from Front Range buyers has never been stronger and appears to be at the beginning of a growth spurt. Buz Koelbel couldn’t agree more. “It’s truly phenomenal the demand we are seeing from Front Range buyers,” Koelbel said. There is so much development moving forward in Winter Park that people won’t recognize it 10 or 15 years down the road, Johnson predicted. When it comes to outdoor recreation, Winter Park can’t be beat, according to developer Charlie Johnson. Photo credit: Andrew Milligan. At the same time, it won’t lose its intimate, small-mountain-town feel, a mere 90-minute drive from Denver.